HP is now torn between cutting prices to maintain share and seeking high-margin products to boost profits. Hewlett-Packard Chief Executive Dion Weisler told analysts Wednesday that he anticipated several difficult quarters ahead as HP tries to negotiate pricing its products low enough to compete with Asian suppliers, while pushing into more profitable product segments, such as 3D printing. One factor the company hoped it could depend upon—Windows 10—hasn’t delivered. 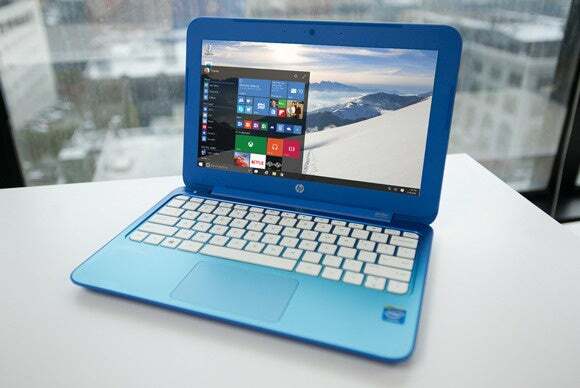 There simply hasn’t been enough demand for Microsoft’s new OS to help HP weather a declining PC market, he said. HP split off from its enterprise business last fall, and Wednesday the company delivered the first earnings report since its split—which wasn’t pretty. HP reported a 12 percent drop in revenue to $13.9 billion, and a 16 percent drop in continuing operations to $700 million. Virtually every meaningful segment of the business reported declines, including revenue and earnings in both its printer and PC businesses. “We have a pretty consistent formula here: We segment the market, we figure out where to play and where not to play, we continue to take costs out of the system, we continue to drive innovation into the system, and we’re not after share for share’s sake,” Weisler said. He then lowered the boom on Microsoft. “I would say that Windows 10, whilst I still believe is a tremendous operating system platform, and universal apps and Continuum computing make devices like the Elite X3 a reality, we have not seen the anticipated Windows 10 stimulation of demand that we had hoped for, and we’re carefully monitoring any sort of price development that could further weaken demand,” Weisler said. Why this matters: If no one’s dropping out of the PC business, that means the PC price wars will just get bloodier. That’s great news for consumers, who will only benefit. But for HP, which now no longer has its enterprise business to serve as a shield, it’s a harsh reality—especially without Microsoft to depend upon. HP reiterated that it plans to enter the 3D printer market this year, as part of a push to diversify its product line, and its high-margin gaming PC business is on track to double its revenue by year’s end. HP’s PC strategy also involves prioritizing higher-margin businesses, such as two-in-ones, mobile workstations, and gaming, chief financial officer Cathy Lesjak said. But the majority of HP’s business is much more vanilla: HP’s Personal Systems Group makes up 62 percent of the company, and the $7.5 billion that business pulled in was down 13 percent from a year ago. Things are bad across the board: Notebook revenue fell 11 percent, desktops by 14 percent, workstations by 16 percent, with two-in-ones and “other” hardware down by 20 percent. In that regard, HP isn’t that different than its competition. HP sold 14.2 million PCs during 2015, but still saw its market share drop by 10 percent—and it ranked second in worldwide PC sales behind Lenovo, according to IDC. Now comes word that companies like Vaio, Fujitsu, and Toshiba are considering forming a PC “supergroup” to compete. The trend in the PC market may be that the big companies are getting bigger. But now that HP no longer has its enterprise shield to hide behind, will it be able to hold onto its lead?